The iconic Hotel Valley Ho in Downtown Scottsdale welcomes Russell LaCasce as its new executive chef. He joins the team after serving as the executive sous chef at Sanctuary Camelback Mountain Resort and Spa, and begins his new role at Hotel Valley Ho on January 2, 2017. 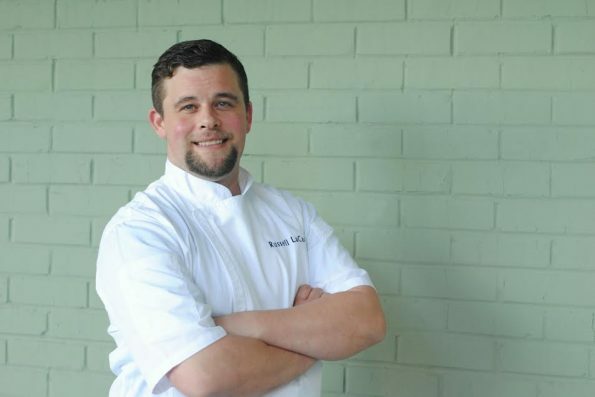 Russell began his culinary career in Charleston, South Carolina as a dishwasher, and quickly found a passion for food and a love for the kitchen. He then spent time learning the service side of restaurants in Park City, Utah, before moving to Scottsdale in 2006. His professional training includes a Culinary Arts Degree from the Arizona Culinary Institute and 10 years working under some of the best chefs in Arizona. At T. Cook’s at the Royal Palms Resort and Spa in Phoenix, he worked with Chef Lee Hillson, eventually rising to the position of p.m. sous chef. He joined the renowned Sanctuary in 2010 as a.m. sous chef and was named executive sous chef in 2011. He worked closely with Beau MacMillan, the resort’s executive chef and star of Food Network. Russell was also awarded the Taste of Elegance 2013. He is skilled at preparing American, Asian, French and Mediterranean cuisines. His depth of knowledge, ability to craft creative menus and passion for cooking have propelled him throughout his 20-year culinary career. As the executive chef of Hotel Valley Ho, Russell will oversee the culinary aspects of the hotel’s signature restaurant, ZuZu, as well as in-room dining, the OH Pool and OHasis Pool, banquets and catering. ZuZu is known for its seasonal American fare, locally sourced ingredients, and classic cocktails. Hotel Valley Ho original opened in 1956 and underwent a complete renovation to restore its original 1950s modern architecture. We are delighted to have Russell as our new executive chef. His reputation for delivering creative and flavorful cuisine coupled with his ability to lead his culinary colleagues made him the perfect fit for this key position. We are very much looking forward to seeing how he influences ZuZu and all of our culinary operations,” said Ronen Aviram, the hotel’s general manager. Hotel Valley Ho’s previous executive chef, Charles Wiley, is now the executive chef at the soon-to-open Mountain Shadows in nearby Paradise Valley. He is also the director of food and beverage for local Westroc Hospitality, which developed and manages Hotel Valley Ho, Mountain Shadows and Sanctuary Camelback Mountain Resort and Spa. About Hotel Valley Ho: Hotel Valley Ho is a true icon in Downtown Scottsdale. Originally opened in 1956 and recently restored to its former splendor, this urban retreat blends mid-century style with modern amenities. Dine at ZuZu, relax at VH Spa for Vitality + Health, and unwind at two cool pools.